EDI is often perceived to be a daunting challenge, and it can be! EDI implementation is no easy task and the associated complexities to navigate through in order to ensure successful execution can be overwhelming. Attaining EDI compliance, and being able to maintain and ensure it, is crucial and the core of an effective EDI implementation. However, EDI is a common practice in most retail and grocery industries, and complying with the required EDI transactions, and meeting related EDI supply chain requirements and EDI business rules, is mandatory and unavoidable! Sobeys Inc. is the second largest food retailer in Canada. Headquartered in Nova Scotia, Sobey’s operates over 260 supermarket stores in all ten provinces, as well as 1500 stores under a multitude of banners. What is EDI and for what kind of transaction ? 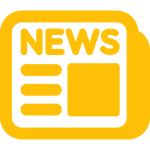 This blog is geared toward new Sobey’s vendors, weighing to implement an EDI initiative. Our objective is to offer instructive as well as constructive information regarding Sobey’s EDI transactions, as well as associated EDI business rules that we believe are noteworthy when undertaking such a demanding and complex challenge. Let’s begin by tackling the concept of EDI itself, in order to understand what it is and why it is used throughout the retail industries. So, what is EDI ? Electronic Data Interchange (EDI) refers to the structured transmission of data between organizations electronically. The benefits of transmitting documents through EDI are reaped in many areas across all business processes. They include efficiency due to reduced time and payment delays, decreased labour costs, improved data and inventory accuracy, increased information accessibility, all of which result in maximized business activity. What are the mandatory EDI transaction for Sobey’s ? Now, how does EDI relate to Sobey’s? EDI is essentially a pre-requisite to doing business with Sobey’s. Sobey’s operates under four core divisions- Sobey’s Quebec, Sobey’s Ontario, Sobey’s Atlantic and Sobey’s West. Each division requires its own respective EDI set-up and testing of its EDI transaction sets. Each division of Sobey’s has two different EDI supply chains: DC (distribution Center) and DSD (Direct to Store). Let’s examine Sobey’s required EDI transactions and further delve into the associated EDI business rules and requirements. Sobey’s requires its supplier community to be able to receive an EDI 850 purchase order, and to be able to send an EDI 810 Invoice or EDI 810 Credit invoice. The EDI 850 transaction is a Purchase Order transaction set. It is typically used by retailers to place an order with suppliers for goods or services. The EDI 850 generally provides the same information you would typically find in a paper Purchase Order (PO) document. Upon receiving a Purchase Order (EDI 850) and preparing your shipment, you will need to proceed to create and transmit an EDI 810 (invoice). The EDI 810 Invoice transaction set is the electronic version of the traditional paper-based invoice document. Payment processing of EDI 810 invoice is naturally faster than that of paper based invoice since data entry and manual processing are eliminated. Should you require to apply a credit to an already processed and transmitted EDI 810 invoice, you may do so. The credit would be transmitted as an EDI 810 credit invoice. Once in receipt of a compliant EDI 810 invoice, and EDI 810 credit, Sobey’s will issue payment accordingly. When payment is ready to be issues, Sobey’s will advise using the outgoing EDI transaction 820 Remittance advice. The EDI 820 provides the EDI format for transmitting information relating to payments, and is typically used in conjunction with an electronic transfer of funds for payment of goods. 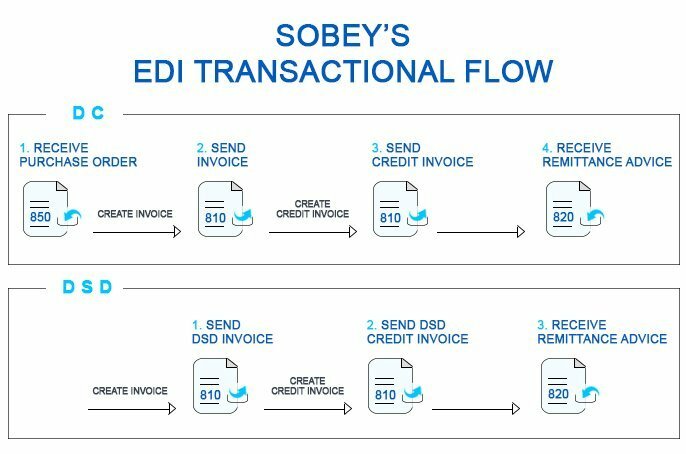 Some retailers, in this case Sobey’s, transmit the 820 EDI transaction directly to their suppliers in order to communicate the details of a pending payment, including any adjustments reflected in the payment. The information provided in an EDI 820 document includes payer and payee identification, bank and account IDs, invoice number, adjustments from an invoice, billed and paid amounts. This information will actually be helpful in allowing you to reconcile the payments you received from Sobey’s (through bank transfer or otherwise) against the EDI 810 invoices you transmitted to them. This essentially completes Sobey’s EDI transactional flow. It is important to note, however, that Sobey’s may choose to implement in the future new EDI transaction sets such as EDI 856 Advanced Ship Notice, at which point you will be required to be able to support and comply with the retailer’s new EDI requirements. Once your set-up for EDI with Sobey’s has been completed, before being moved to production status, you will need to complete a testing cycle, directly with Sobey’s EDI department. It is quite common for retailers to require mandatory EDI testing whereby both incoming and outgoing EDI transactions sets (EDI 850 and EDI 810) are tested in order to ensure your data is EDI complaint with their specific EDI requirements and business rules. Having tested and approved all the required EDI transactions, Sobey’s can guarantee a certain degree of compliance, or at the very least hold you accountable for any EDI non-compliance errors that may arise when you are in full EDI production mode. You will not be moved to EDI production, and therefore, will not be able to receive production purchase orders (EDI 850), until all the required EDI transactions have been tested successfully and deemed compliant by Sobey’s. Depending on your in-house EDI capabilities, you may choose to either complete the required EDI testing directly with Sobey’s, or opt to acquire the services of a third party EDI provider, such as EDI Gateway Inc for example, to manage the testing cycle on your behalf. Employing fully EDI compliant tools, third party EDI providers typically embed validation maps in their back end systems to allow the tools they use to identify EDI non-compliance errors. 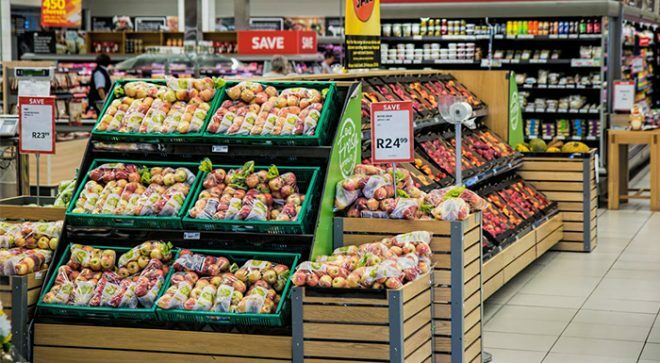 Such quality control measures will, in turn, ensure that the outgoing EDI data transmitted to Sobey’s, or any other retailer for that matter, is 100% EDI compliant with the required business rules and EDI guidelines. Sobey’s will transmit an EDI 850 (purchase order) test file, and will expect a corresponding EDI 810 (invoice) test file back. It is important to note that you cannot consolidate multiple purchase orders on a single EDI 810 invoice. Each invoice (EDI 810) must correspond to a specific purchase order. You cannot add items to an EDI 810 invoice that were not on the original EDI 850 purchase order. Finally, Sobey’s allows for either charges or allowances to be applied to EDI 810 invoices. Sobey’s has two EDI supply chains- DC (Distribution Center) and DSD (Direct to Store), which are not mutually exclusive. As a Sobey’s supplier, you may be set-up as either one, or perhaps even both, depending on the business agreement you have in place with Sobey’s. As for EDI testing, you will only be required to complete the testing cycle associated with the EDI supply chain you were set-up for by Sobey’s. In other words, if you are set-up as a DSD vendor, you will only be required to complete the test for the EDI 810 DSD invoice. As a regular DC vendor, you will need to test the associated EDI transactions- incoming EDI 850 p.o and EDI 810 DC invoice/Credit. Let’s have a look at the main difference between the two EDI supply chains! Distribution Center invoices (EDI 810) are EDI invoices that correspond to an EDI 850 (purchase order); a DSD (Direct to Store) invoice does not have an EDI 850 (purchase order) associated with it. DSD invoices correspond to orders initiated at the store level whereby a paper purchase order may be sent directly by the store to the supplier, as opposed through EDI. The outgoing DSD invoice (EDI 810) is sent to Sobey’s (not to the store) and so it must be sent through EDI, not as a traditional paper invoice. DSD EDI 810 invoices are transmitted per store, since it corresponds to the replenishment order placed at the store level. There are some structural differences as well. The 810 EDI data and structure is somewhat different for both DSD and DC invoices as some EDI segments may be required for one and not the other. If you are set-up for both of Sobey’s supply chains, we highly recommend that you read the vendor manual and familiarize yourself with all the different EDI business rules associated with each EDI supply chain. This is particularly valuable if you are integrated and are using your own in-house EDI system to transmit EDI documents to Sobey’s; having a good base of knowledge for the relevant EDI requirements will allow you to conduct business while avoiding the risk of unnecessary EDI non-compliance charges. Integration! There’s a term you must have heard tossed around once or twice by your IT team! Suppliers doing EDI often explore different possibilities for integrating their EDI transactions, namely invoices, when it comes to DSD supply chain set ups, due to the high volume of EDI 810 DSD invoices associated with DSD supply chains. Integrating through your accounting package or ERP system, or even using FTP file transfer platforms, will allow you to generate invoices and transmit EDI 810 invoice files through an automated process, without any manual intervention, while achieving 100% EDI compliance, increasing productivity and reducing EDI transaction costs. This is especially efficient and cost effective when it comes to DSD EDI 810 invoices which are transmitted per store, resulting in a high volume of EDI transactions. Not to mention time consuming and error prone since there is no EDI 850 p.o to turn around and generate the EDI 810 invoice from. Once EDI testing with Sobey’s has been successfully completed, you will be moved to production status, allowing you to begin exchanging EDI documents with Sobey’s; you will be able to receive Sobey’s purchase orders (EDI 850) and send invoices, as well as credit invoices, (EDI 810) through EDI! Having access to relevant EDI information and the required business rules you must meet and confirm to, will allow you to be better equipped when tackling and overcoming the challenges associated with EDI implementation. We trust that this blog has been informative and we wish you luck with your EDI initiative with Sobey’s! Learn everything about how to transmit EDI document.